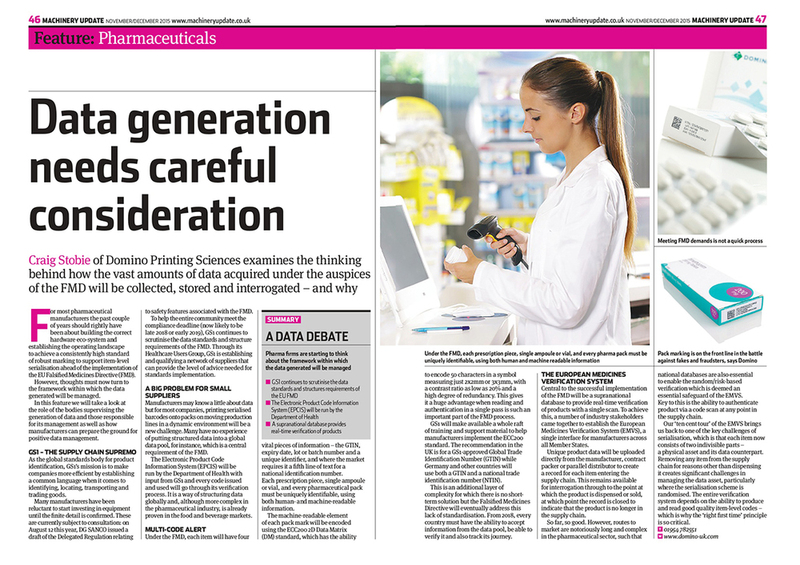 We were tasked with positioning Domino as the authority on serialisation, with a focus on education rather than product promotion. This included an emphasis on the compliance deadline for the EU Falsified Medicine Directive, the date by which the vast majority of prescription and some over-the-counter medicines dispensed or sold within the 28 EU Member States must meet the requirements of the Acts. We used a traditional Public Relations approach to engage our key trade and commercial titles through industry leading white papers, informative interviews, thought leadership features and case studies. We helped raise Domino’s reputation as an industry leader by initiating and continuing the conversation around EU FMD compliance and timescales. 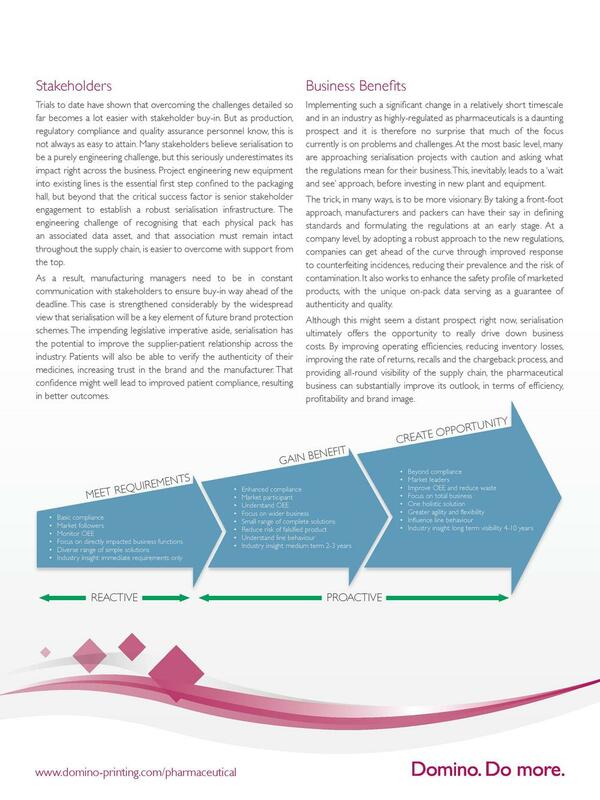 As a result, Domino has increased its presence as a respected and established voice on serialisation in the pharmaceutical packaging arena.